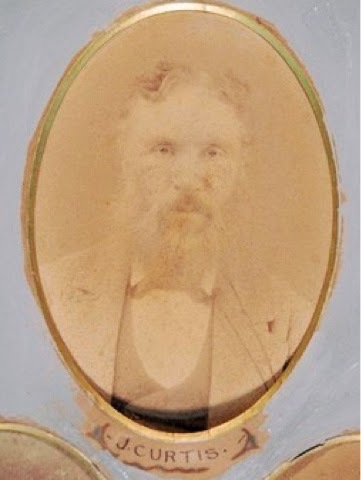 J is for James: James Curtis (1826–1901), a Ballarat pioneer and one of the city’s more notable citizens. James Curtis has no entry in the ‘Australian Dictionary of Biography’, but in his time he was moderately important and fairly well known in Ballarat and beyond for his contributions to—well, if you are one of those people (I was) who think the Victorians were stern, serious, and straight-laced, you’d never guess. Curtis had joined in the first Ballarat gold rushes of 1851. He didn’t find much—a tiny nugget the size of a pea—and he was £30 poorer for the attempt. He quickly abandoned gold-digging and returned to his trade, type-setting. In the early 1860s Curtis established one of Ballarat’s first printing presses, and by the 1870s, as proprietor of the Caxton Steam Printing Works in Armstrong Street, the city’s second-largest printing house (‘letterpress, lithographic, and copperplate printer, account book manufacturer, &c’) he had become a wealthy and successful businessman. Over the next few decades Curtis joined whole-heartedly in the commercial and civic life of Ballarat. He was a director of the Prince Regent and the Sebastopol Plateau gold mines; a member of the board of the Ballarat Land Mortgage & Agency Company Limited; a member of the Old Colonists’ Association; a long-standing member of the boards of the Benevolent Asylum and the Ballarat District Orphan Asylum; the Treasurer of the Harmonic Society, Ballarat’s choir; a founding member of the Ballarat Debating Club; a patron of the arts; a chess enthusiast; and a well-known cyclist and tricyclist. In short, Curtis became a successful businessman and a prominent and respectable Ballarat citizen, who ‘for many years identified himself with the progress of the `Golden City”. James Curtis, however, had a side that was less conventional. In the late 1870s he began to believe that we survive death, that ‘death’ was merely a change of state, a butterfly emerging from its chrysalis; discarnate spirits were, reassuringly, very much like us; and the world of the spirits was comfortably similar to the world we mortals presently inhabit. These were demonstrable facts, objectively true, backed by verifiable testimony from reliable witnesses, including Curtis himself. And so Curtis became a Spiritualist. He joined a séance Circle, helped to convene a ‘Psychological Society’, whose aim was ‘the proof of soul by facts’, sought out the best and most powerful mediums in Melbourne, Sydney, and Hobart, sat with visiting American celebrity mediums—two of the most famous were Henry Slade and Jesse Shepard—and applied himself to spreading knowledge of what he had discovered. He had a printing works of his own; this he used to print pamphlets explaining spiritualism and opposing its detractors. He printed and published a 300-page book, called ‘Rustlings in the Golden City’ about his spiritual awakening. Well received in Ballarat and beyond, ‘Rustlings’ went through three editions. None of this was too unusual. 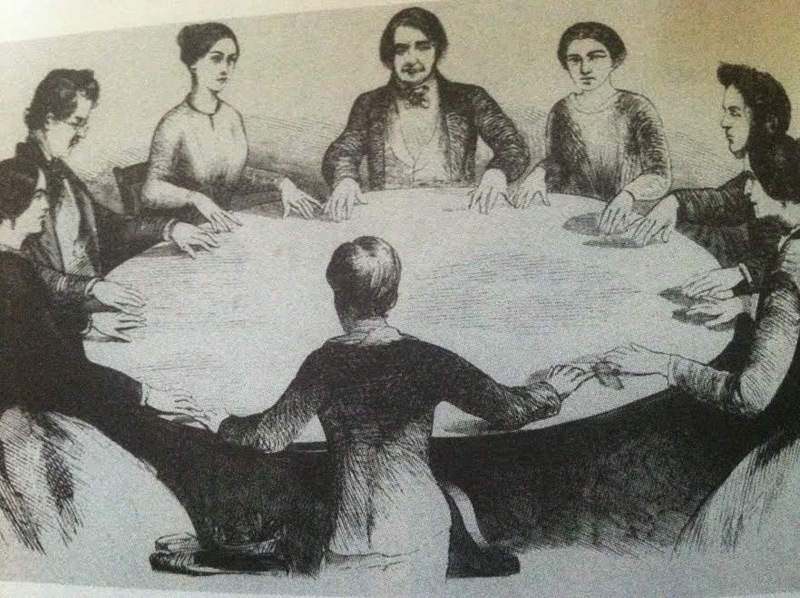 Spiritualism had quite a number of adherents in the second half of the nineteenth century, many of them cautious, well-educated, far from gullible, and outspoken in their advocacy of the glorious truths they had found about death and the afterlife. Curtis’s spiritualism was a little different, however, for much of it concerned his relations with a particular person, not just the broad concept of life after our translation to the next plane. When Curtis emigrated to Australia in 1849 he left his sweetheart Annie Beal behind in Southampton. He never saw her again, for she died of tuberculosis the next year. Curtis’s writings are full of Annie, his joy at finding her still alive (in the world above) and his longing to be reunited with her. She loved him still, and wrote to him constantly, through mediums, to tell him so. Curtis’s love affair with his dead darling Annie was partly the product of his spiritualism, and his spiritualism was to some extent underwritten, shown to be true, by the fact of their continuing love for each other. It’s easy to sneer; let’s just hope that they were indeed finally re-united forever, as they yearned to be, on his death in 1901. A guest blog post written by my husband Greg.